Welcome to Santa Lucia at Bentsen Lakes. We have an optimized screen reader version of this site available. Come experience the best at Santa Lucia At Bentsen Lakes. 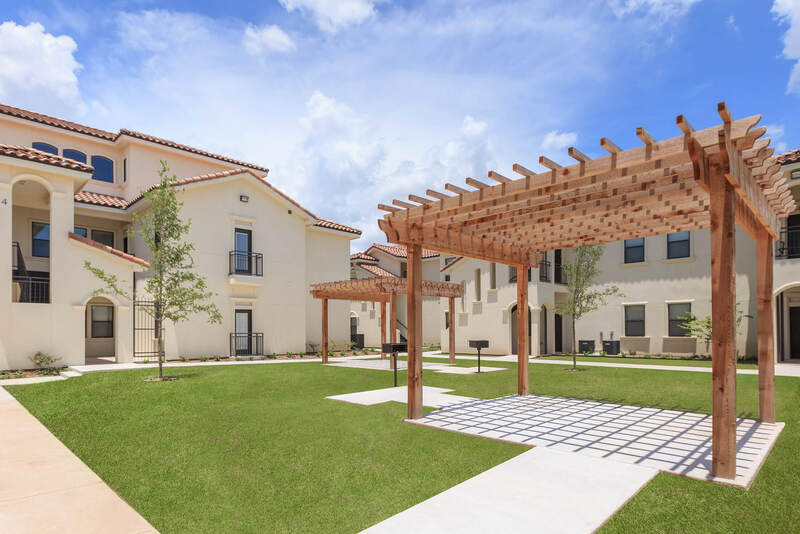 Enhanced by its lush landscaping and southwestern styling, Santa Lucia At Bentsen Lakes offers beautiful apartments nestled in a residential setting. 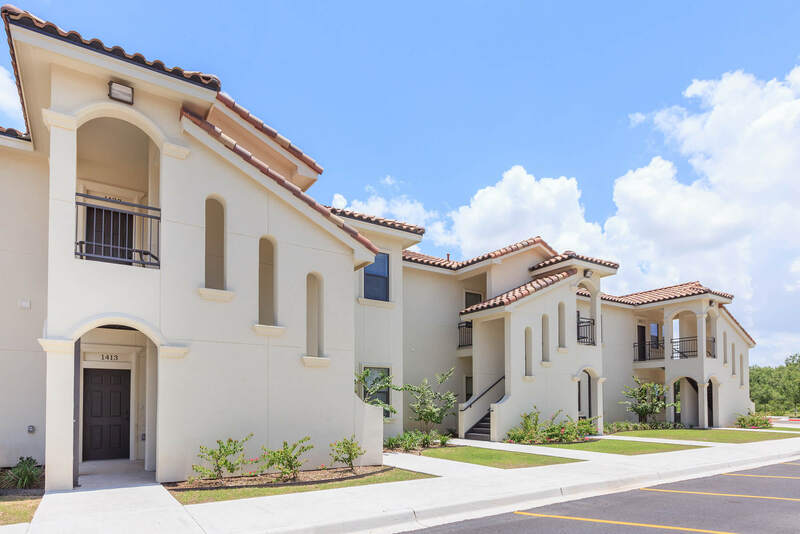 Our apartment homes are located in Mission, Texas along Expressway 83 on South Taylor Rd. 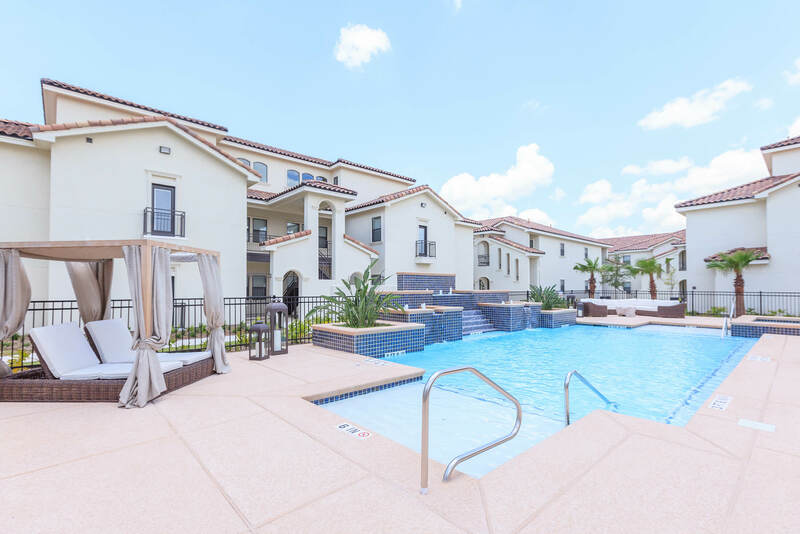 Your new home places you within the award-winning Sharyland Independent School District, near Cimarron Country Club, the Convention Center, upscale shopping, dining, and entertainment. Our attractive floor plans offer spacious 1, 2, and 3 bedroom options. 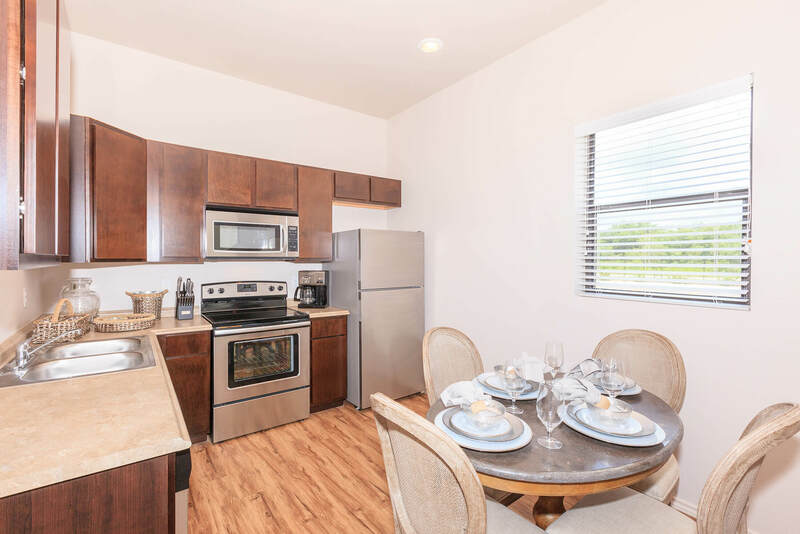 Apartment home interiors feature all-electric kitchens with dishwasher and microwave, ceiling fans, central air conditioning and heating, walk-in closets, and washer and dryer connections. Washer and Dryers, balcony or patio, and stainless steel appliance packages are available in select homes. Each pet-friendly apartment home is built with your comfort and convenience in mind. Behind our limited access gates, you will find unique features with stucco facades, clay tile roofs, resort- style pool with cabanas, pergolas with grilling areas, 24-Hour state-of-the-art fitness center, conference room with Wi-Fi, detached garages, reserved covered parking, detached storage, and coffee bar. 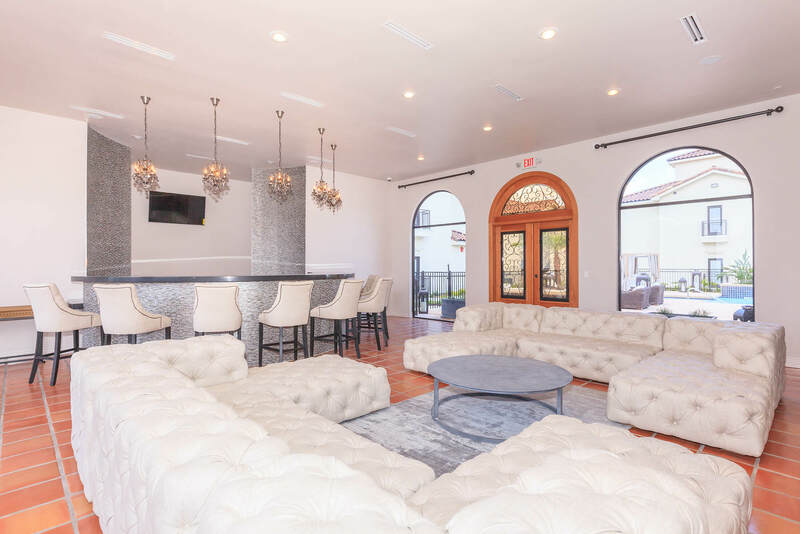 Our elegantly decorated clubhouse is available for those special social gatherings for friends and family. Excellent Customer service begins the moment you arrive for your personal tour of your new home at Santa Lucia At Bentsen Lakes. Refer a friend and get $200 Off your rent! !